Breeders in Canada are governed by the Government of Canada Animal Pedigree Act. 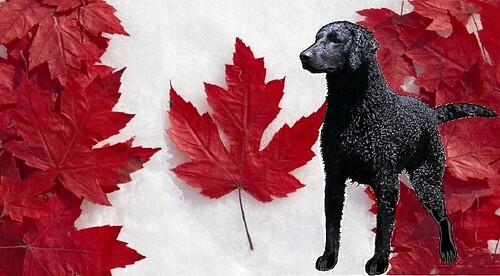 It is, therefore, illegal in Canada to represent a dog as pure-bred and not supply registration papers for that dog. To do so is an offence. The Canadian Kennel Club is the registering body for pure-bred dogs and below is a synopsis of their rules and regulations as approved by Agriculture Canada. It is illegal, in Canada, to sell a dog as a pure-bred without supplying registation papers at no extra cost. This right is protected by federal legislation known as The Animal Pedigree Act. Registration for young puppies will probably not be complete at the time of sale but it must be forthcoming within six months following that date of sale. You should have the registration numbers and registered names of both parents, date of birth of the litter and, if possible, the litter registration number before taking your puppy home. A litter registration certificate indicates the breed, date of birth, registered names and numbers of the sire and dam, the number of males and females in the litter and the name and address of the breeder. Take note of this information as the breeder is responsible for identifying the dog before you buy it and for registering the dog with the Canadian Kennel Club. If the litter certificate is not available, check the individual registration certificates of the dam and sire to ensure that they are registered in the name of their owners. If the sire is a foreign born stud dog, not owned by a Canadian resident, the breeder of the litter should have the foreign, certified three-generation pedigree which is submitted with the litter registration application. Every person who sells as pure-bred, a dog eligible for registration, must identify the dog for registration purposes. This means either a micro-computer chip implanted or a tattoo. This makes it possible to distinguish the dog from another dog of the same breed and gender. The breeder is responsible for identifying the dog before it is sold. Do not accept the responsibility of doing this yourself as it requires the skill of an experienced person to be acceptable by the Canadian Kennel Club. Before buying or adopting a pet, give yourself the following check test. If you cannot answer YES to every question, you should carefully reconsider the entire situation. It may be that the needs of an animal outweigh your willingness or ability to care for him. ~ will someone be home to provide meals for the animal according to a fixed schedule? ~ in the case of puppies, will someone be home during the day to look after the animal and to train him properly? If not, are you willing to spend 'quality' time with the puppy in the evenings and on weekends? ~ are you willing to exercise the dog at least twice a day, according to a set schedule? ~ are you willing and able to pay for all inoculations, periodic veterinary examinations and any emergency treatment that the animal may need? ~ do you have the necessary fencing to ensure the security of this puppy? NO dog should be tied out on a ground stake or a clothesline. It is imperative that your property be fenced to keep your dog confined to your property. ~ are you willing to obey the leash laws of your community? ~ are you committed to caring for the animal for its lifetime?